« Things I’m Currently Obsessing Over. 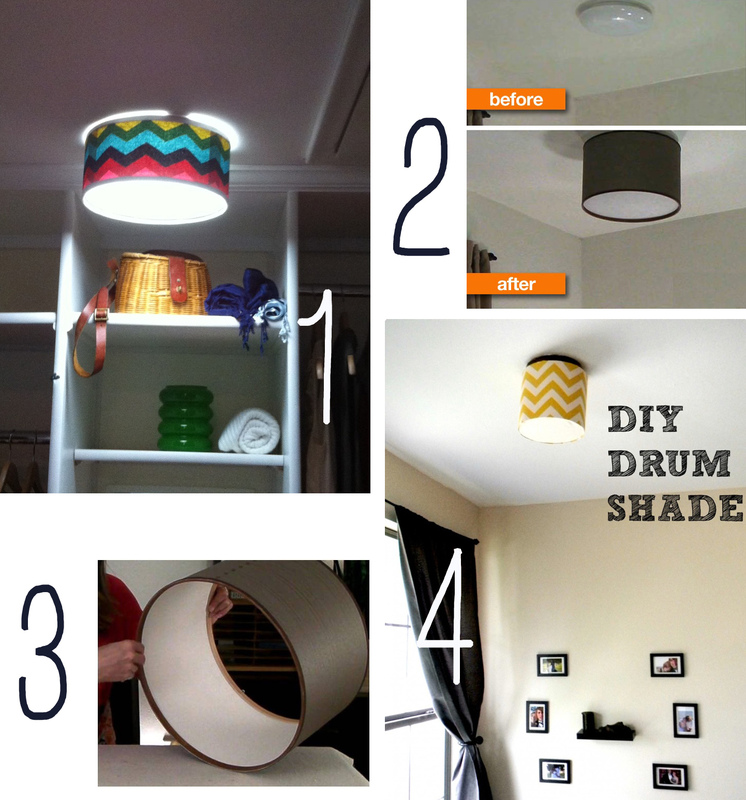 I was so excited about it rolling around again that I immediately got on the ball internet and found exactly what I’ve been dying to do for the last two Pinterest challenges but have been procrastinating over…a DIY drum shade to cover the hideous light in our kitchen! I found the idea last winter from this tutorial, which is actually the one I ended up using. I skimmed around Pinterest and found what I could, which wasn’t a lot. 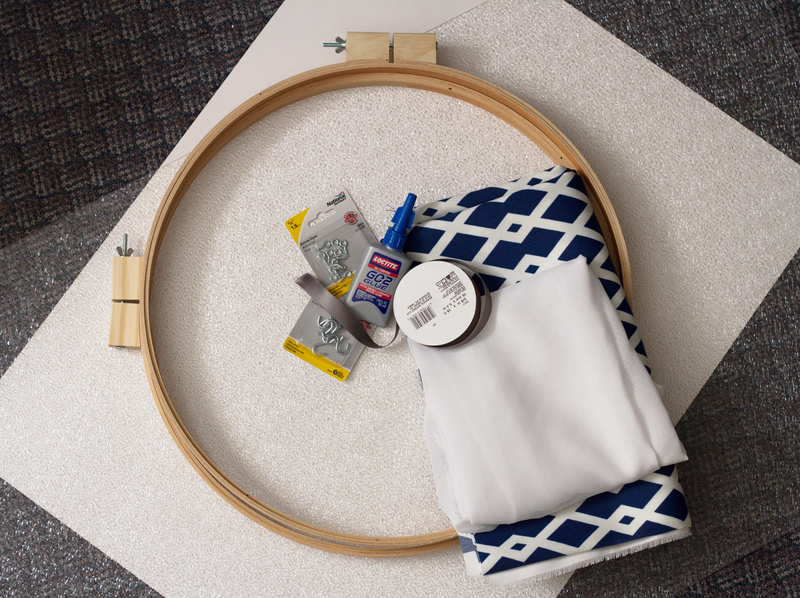 I got all of my supplies at Joanns, and ended up going with an 18″ embroidery hoop. Now let me get on my soapbox for a second (because I live with a firefighter and God forbid I don’t mention it) make sure that there is ample space around the light for the heat to escape! 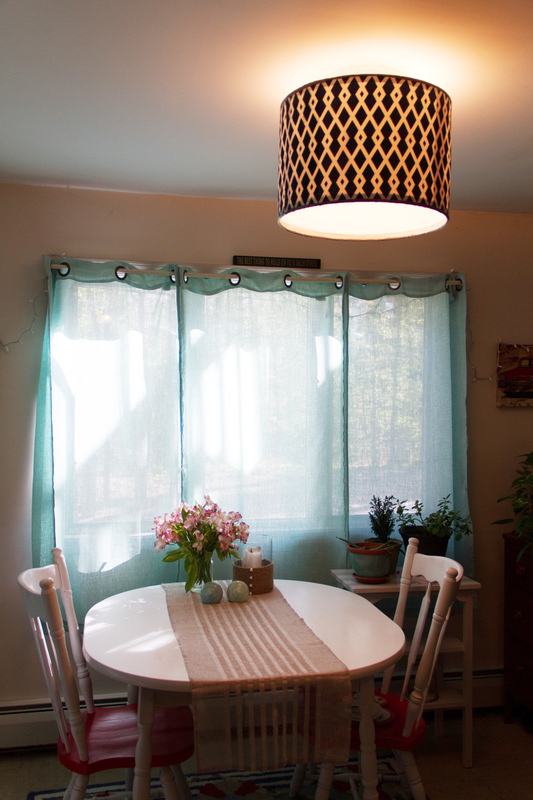 I used 2 18″ embroidery hoops, 1 lighting panel (like for a fluorescent light), eye hooks, S-hooks, ribbon, poster board, some sheer white fabric, and fabric/wallpaper of your choice for the outside. It’s a fairly easy project, but I stretched it over a week to make sure that the glue was fully set before I put any sort of weight on it. First, cut your poster board to size. In order to get the circumference of your shade, use the equation 3.14 x 18 (diameter). This will tell you how much you will need. For me, I used 56.52 inches, which equaled two poster boards plus a little more. I made it 12 inches high, and this really depends on how low you want it hanging/how high your ceilings are. 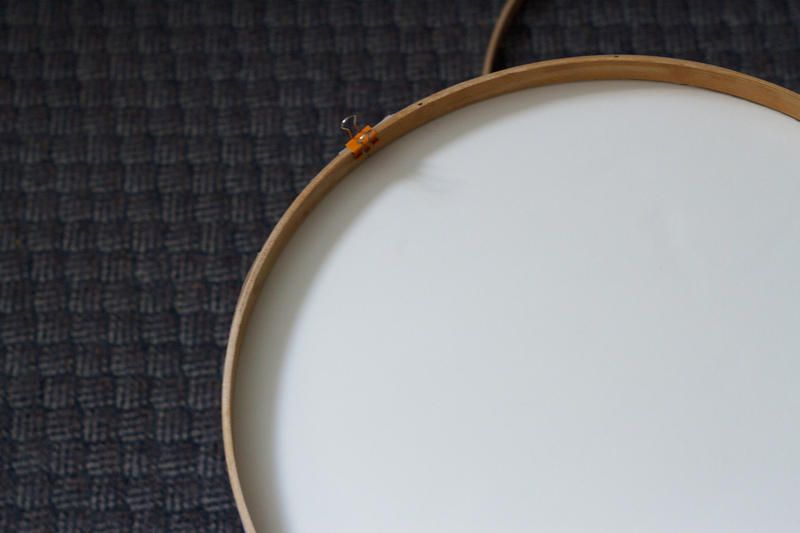 So, once you’ve cut your poster board, glue it together so it’s in one long sheet, then start gluing it to the INNER hoop of the embroidery hoop (they are in fact, two pieces, a fact I never knew until now). 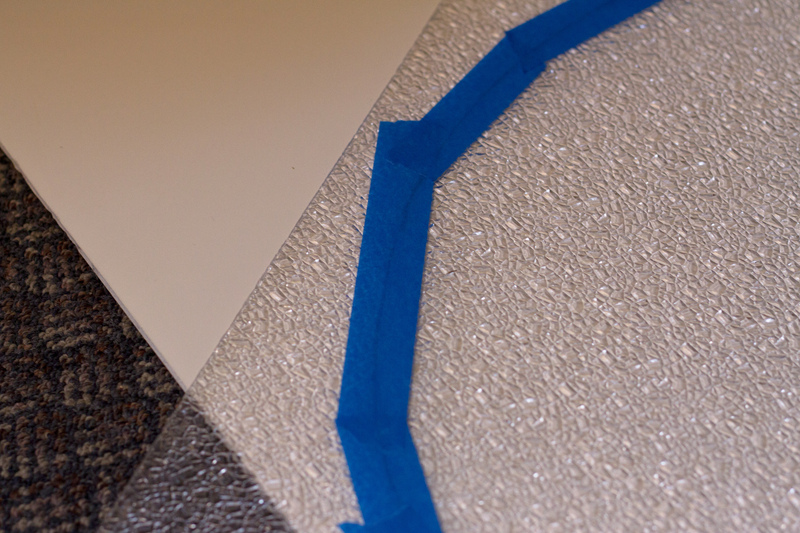 The best way I found was to put the glue on the poster board and then roll it onto the hoop, wiping off any excess glue. Make sure that the poster board is tight! 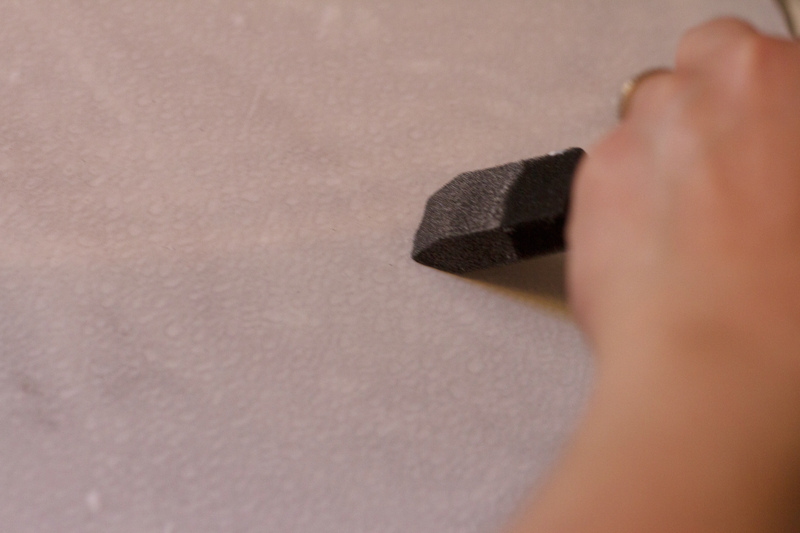 Once you’ve glued and tightened, hold it in place with a binder clip. 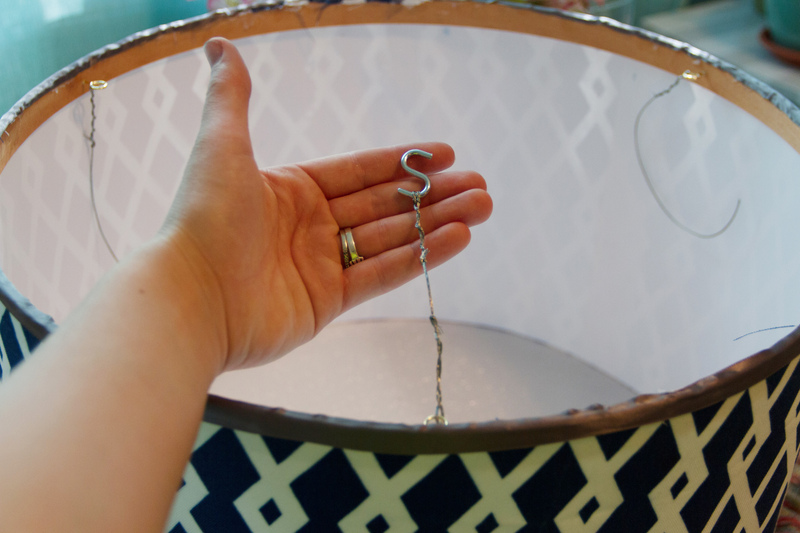 Once all the binder clips are holding it securely, let it dry for a few hours, then do the same thing to the bottom hoop. I waited to glue the big seam down the middle until both hoops were in since it had a little bit of give to it that way. While the glue dried, I started on the lighting panel. They are super brittle and will (and did) crack at any opportunity. In order to cut out your bottom panel, you first need a template to use. 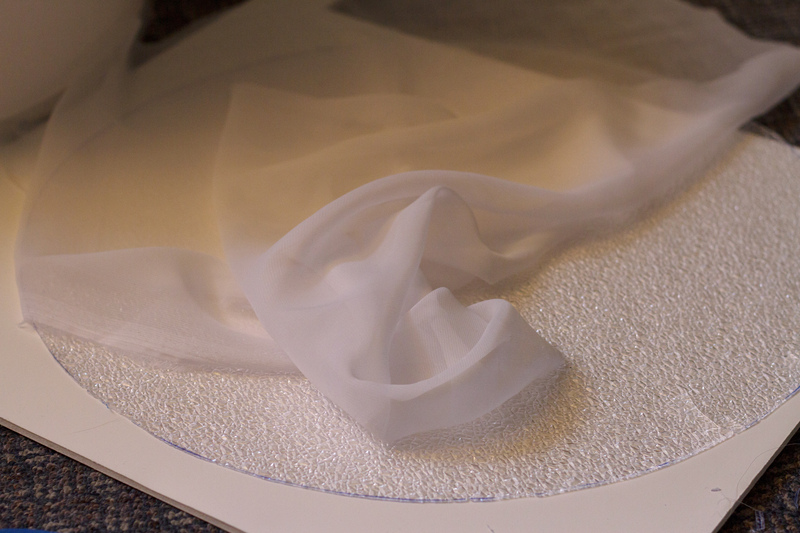 Using the embroidery hoop, tighten it all the way down and trace the inside edge. This ensures the exact size. Once that’s cut out, make sure that it fits inside your shade. 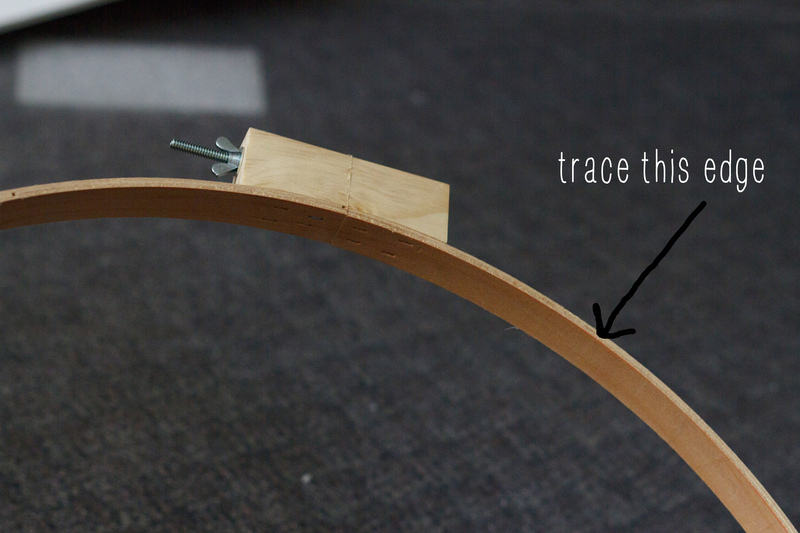 Then using the template, trace the circle on your panel. 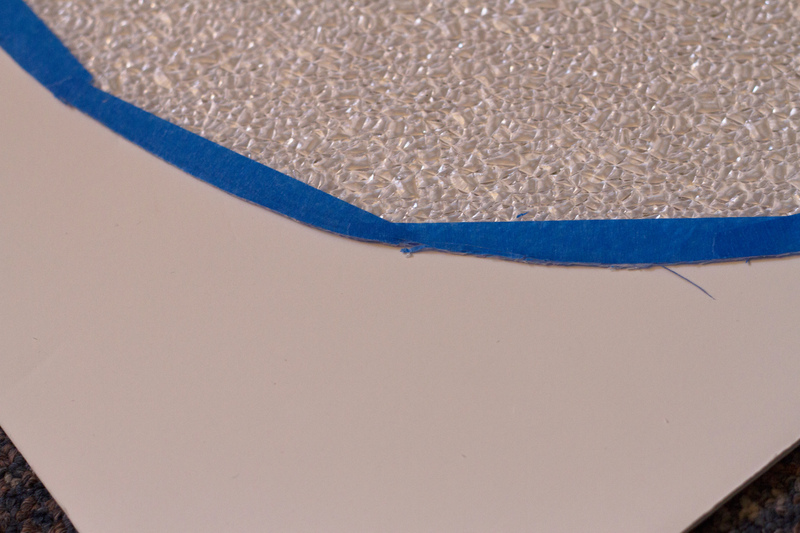 In order to minimize the cracking, it’s best to put masking tape over the line. Then score the line using an X-Acto knife or razorblade. I also turned it over and scored the bottom as well to make it easier to cut. Once it’s all score, use SHARP scissors to cut the circle out. It’s not going to be perfect by any means, but it works. After it was out, I double checked and put the in the shade to make sure it would fit. You can leave the diffuser as is, or you can choose to cover it with material to soften the look. I used the above sheer white material. I simply laid it on top of the diffuser and Modge Podged the heck out of it, paying special attention to the edges. After it was all dry, I cut the excess fabric off. I cut the fabric so that there was a tiny bit of overhang on the sides, and then applied it to the poster board using Modge Podge, smoothing as I went. I also used binder clips to hold the material in place while it dried. 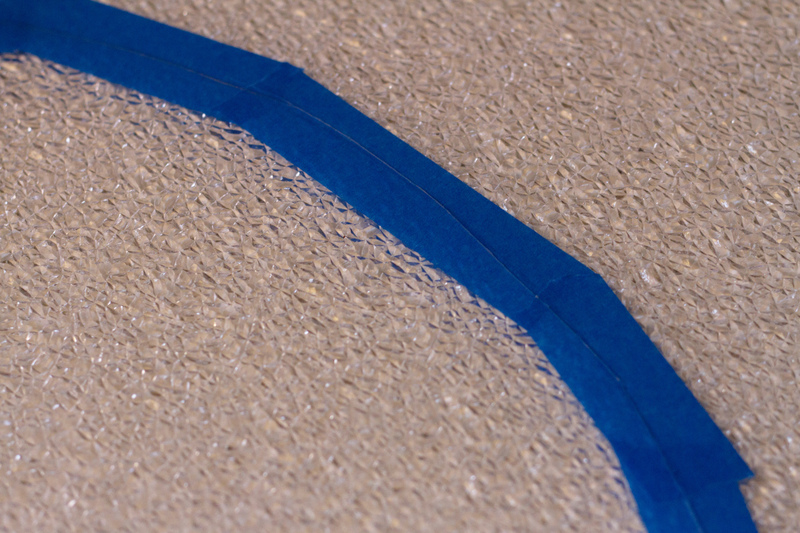 Once it was all dried, I used the ribbon to trim the top and bottom (and grab that little bit of overhanging material). I used hot glue this time and found that it was much easier and grippy (is that even a word?). 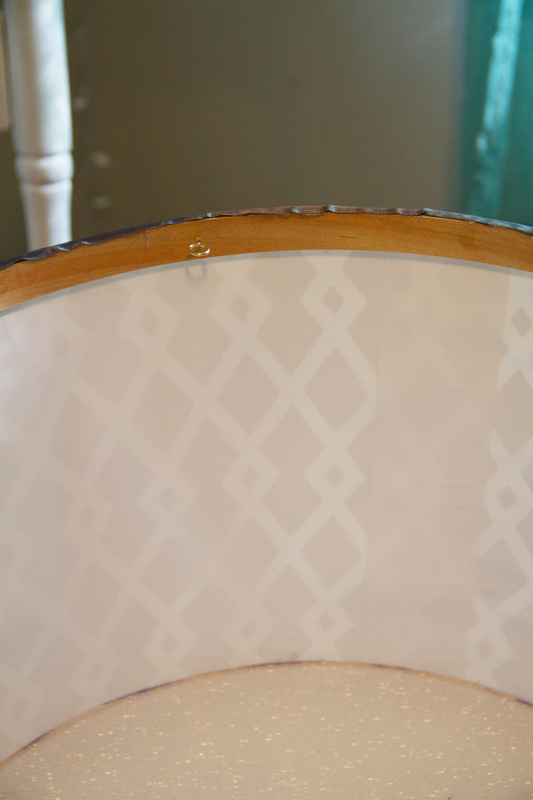 After attaching the ribbon, I realized that we would still be able to see the inside of the embroidery hoop that didn’t have ribbon on it, so I quickly put a couple of coats of white paint on the inside of the hoop. Not the prettiest, but it’s better than wood. 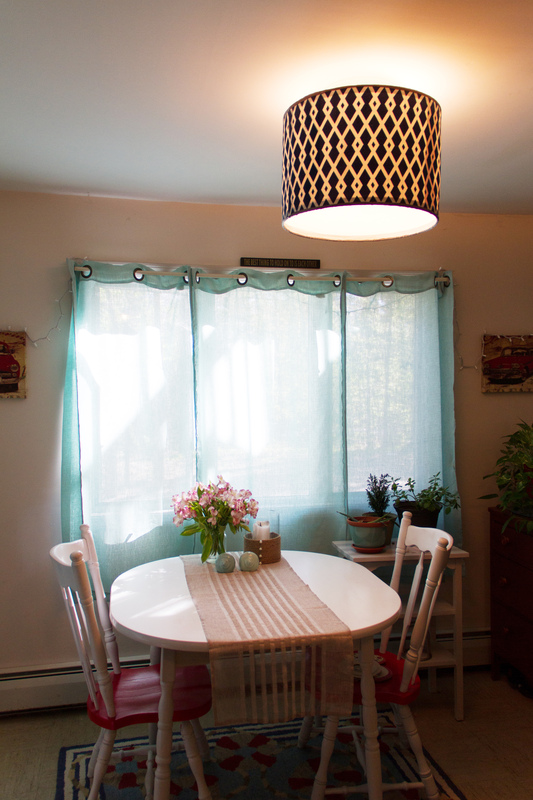 And then I had to figure out how to hook the LARGE hoops to the SMALL fixture on the ceiling. See those holes? That’s where the last cover was held in place with screws, and it’s what I was going to hook my eye hooks into. Unfortunately, there was a lot of space left between the fixture and the inside of the hoops. 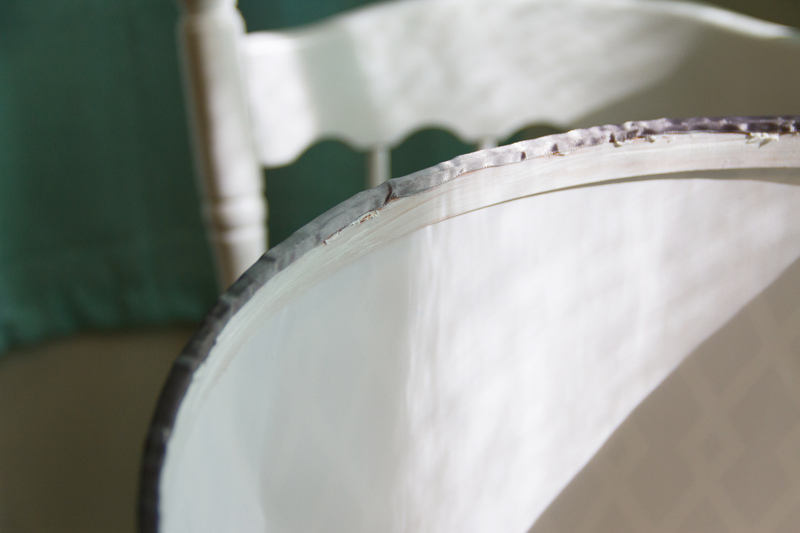 The fixture is 9 inches in diameter and the hoop is 18 in diameter, leaving 4.5 inches on each side between the two. So, using some picture hanging wire, I measured out 4.5 inches and attached S-hooks. Then the S-hooks were simply hooked into the little holes and, VOILA! We’re in business! I absolutely love it. I see now that I could have definitely made it shorter, but I think it works well in the space. It actually doesn’t give off more light, but it didn’t to begin with. 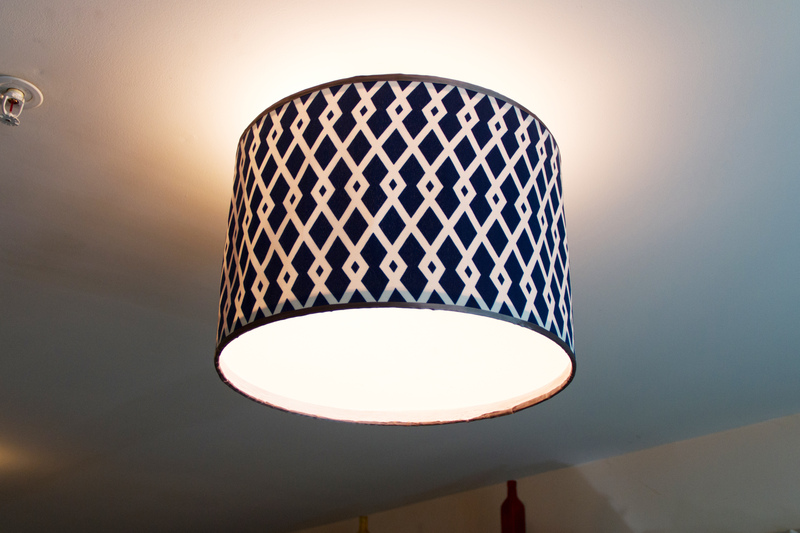 I am obsessed with the pattern, and currently stalking Pinterest for more ideas so I can get rid of the other hideous kitchen light as well. It’s the little things like this that make this place feel like less of a rental apartment and a little cozier! Did y’all participate in the Pinterest Challenge? What did you make?? I just LOVE this!!! 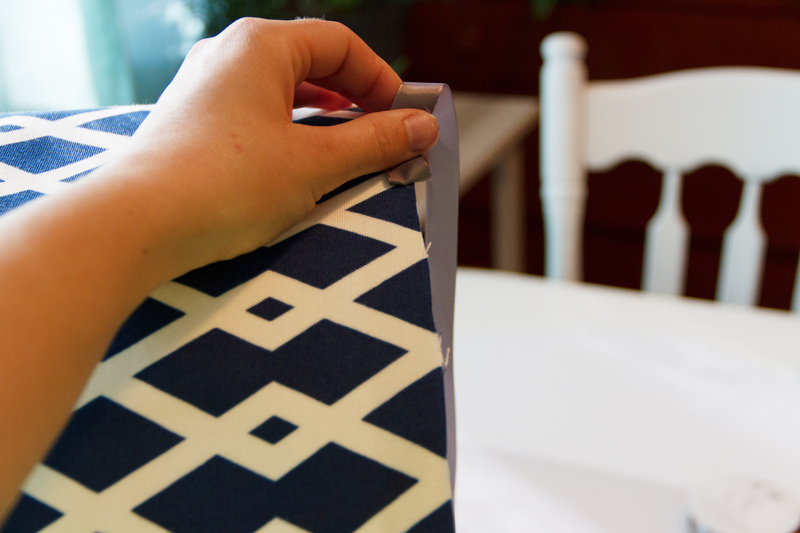 I have a chevron fabric I am dying to use and it would be perfect in the laundry room! Thanks for tackling it first! Looks so awesome! Great job! 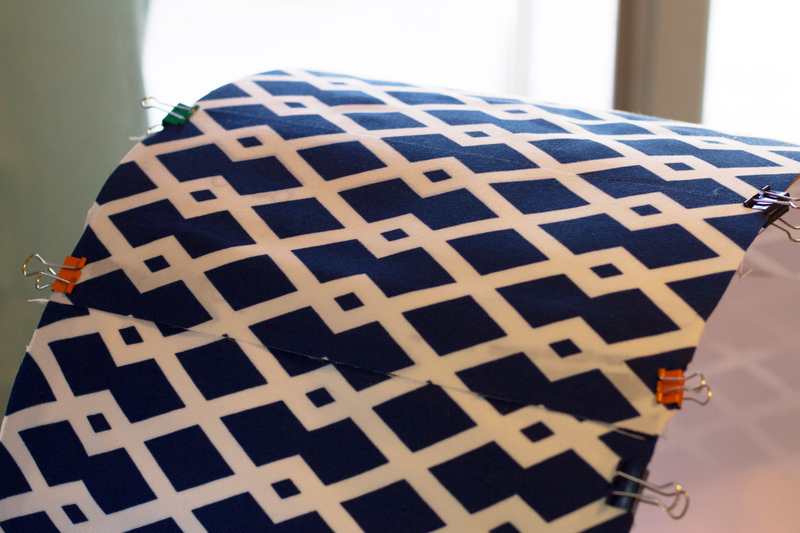 The fabric you chose is just wonderful! I had totally wanted to do something for the pinterest challenge, I just couldn’t make up my mind about what to do! Kudos to you for getting it done! Thanks for posting the detailed tutorial on how to accomplish this! I’ve seen a few how to pins and I’m totally considering something similar for our office. I have an existing shade, but it’s so nice to see a bunch of different ways of getting the job done so I have some guidance when things invariably start to go a bit awry! Your shade looks just fabulous! Found you on the YHL link-up and am glad you posted this as I have been pinning these tutorials for a while. 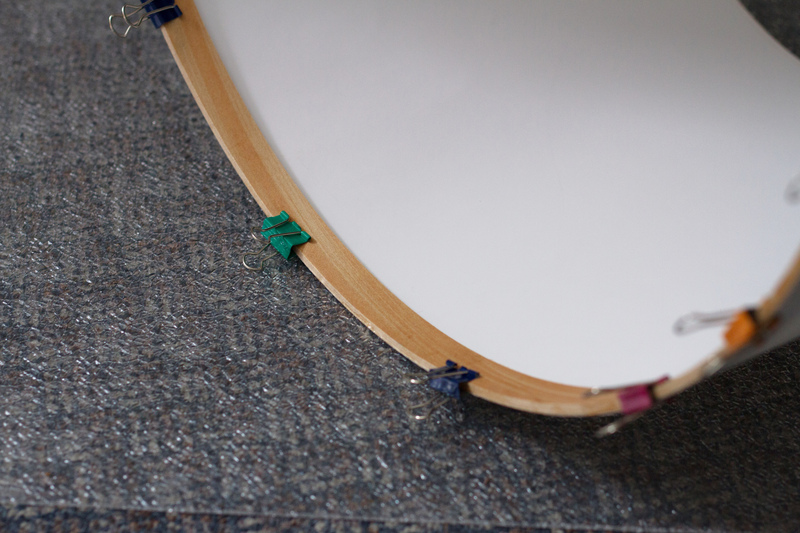 Do you only use the inside hoops for the shade, or else what happens to the adjuster knobs on the outer hoops? This is the thing I can’t figure out that is holding me back from getting supplies and starting the project for myself! (Also where did you buy the lighting panel?) Yours turned out great – so cool! Hey Riva! 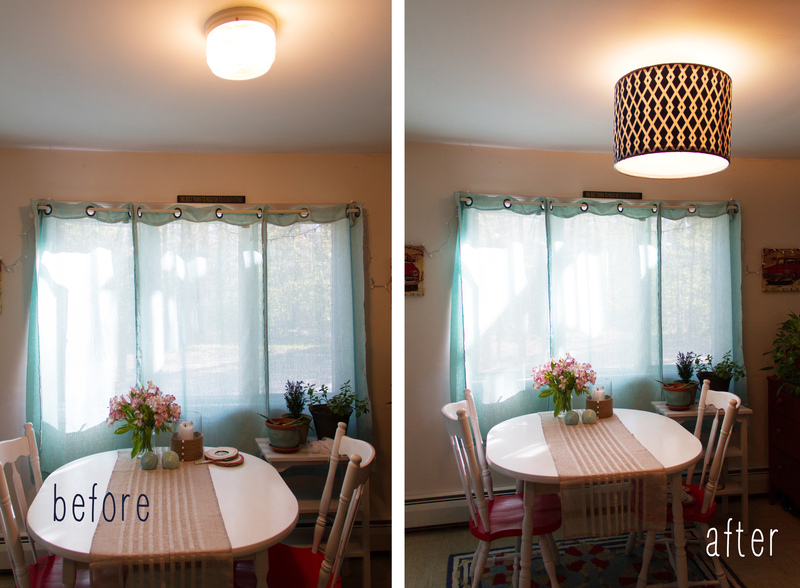 I had the same questions – yes, you use only the inner hoops for the shade, and I got the lighting panel at my local hardware store for about $8. Can’t wait to see what you make! The drum shade turned out so cute! Good job! I LOVE it. Great work! Just one question. How did you install the diffuser? 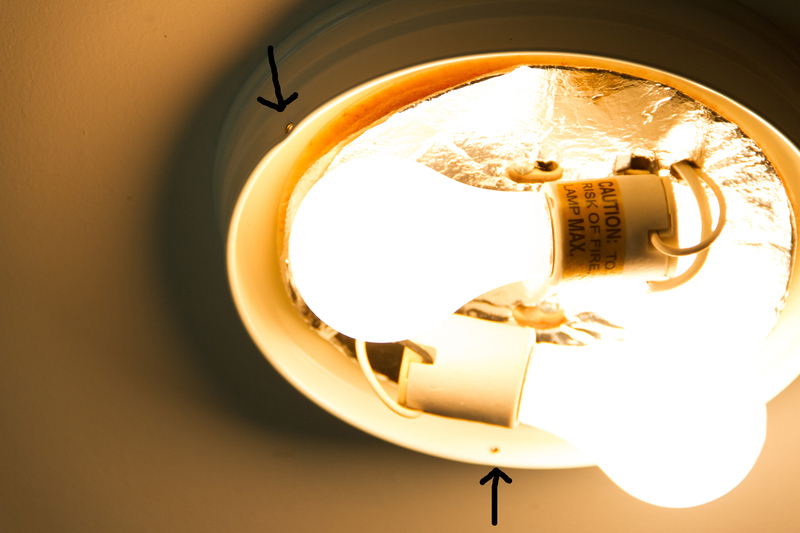 Is it “removable” for changing out lightbulbs, or you be in-attaching the whole shade? Thanks! Hey Jenny! 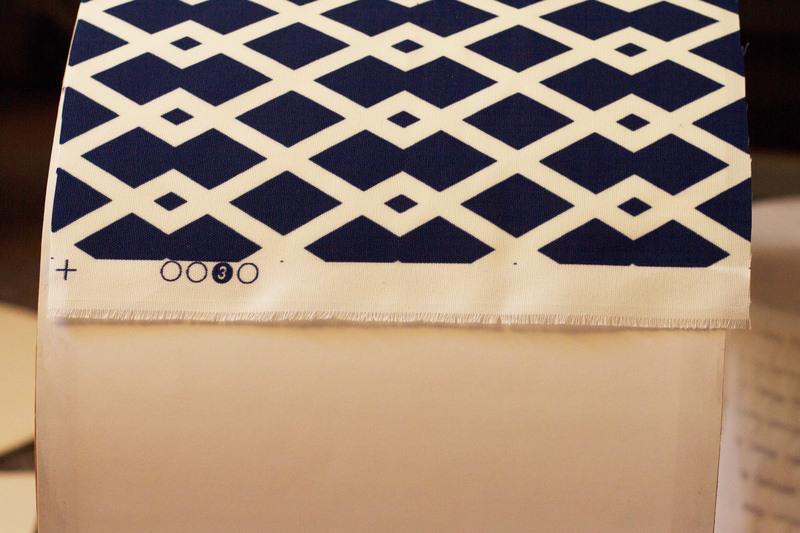 The diffuser actually just rests on the top of the bottom embroidery hoop and is easily removable! Plus, when I have to change bulbs, I’ll take the whole shade down. This looks great and inspired me to get one done for my entry way. Thanks and great job! What a big difference! I love how this turned out, Caitlin! Great Job! Thanks for the in-depth tutorial I really need to get this done. How much did you need to cover the outside? Thanks! I used about 57 inches for the material. The best way to find out how much you’ll need is by using the equation: diameter of hoop x 3.14!